It’s like finally I managed to visit this place. 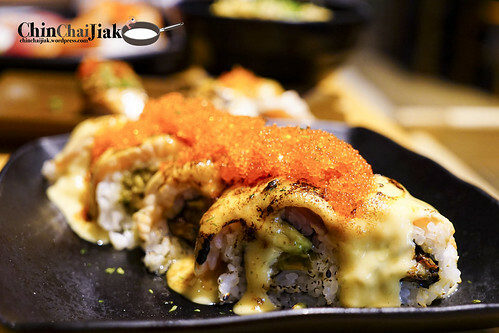 As many of you had already know, Koh Grill & Sushi Bar is famous for one thing – their Shiok Maki. 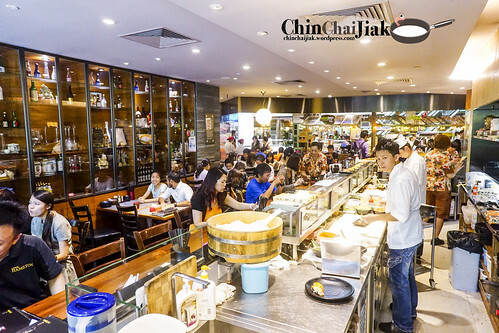 For my non-Singaporean reader, Shiok is a Singapore slang that conveys a feeling of sheer happiness and pleasure. 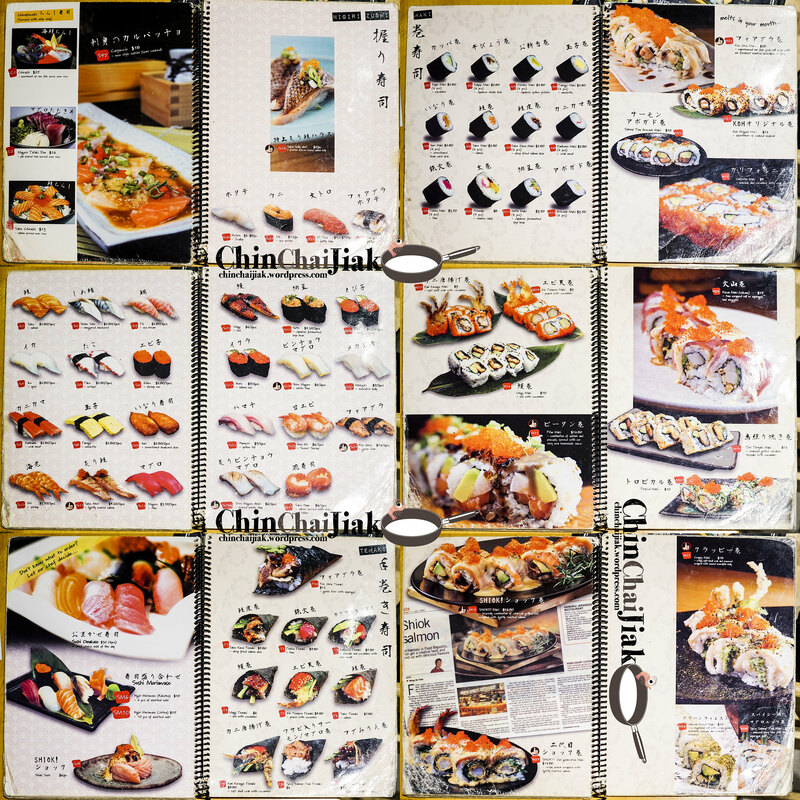 Koh Grill & Sushi Bar is situated within the food court, Food Republic of Wisma Atria. I’d heard about the long waiting time to get a seat at Koh Grill & Sushi Bar and that’s what exactly kept me from paying a visit after so long. Seems like the wait is not so bad recently as I got a table immediately on a weekday lunch time. Their menu is surprisingly extensive, with selection ranging from Sushi, to Bento, Sashimi, Grill, Soup, Hotplate and Noodle, and the price looks pretty reasonable. 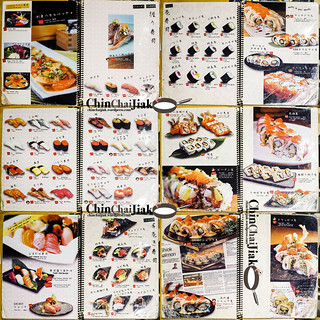 There are currently two versions of Shiok Maki, and the difference is one is the grilled unagi (eel) version and the other is the fried prawn version. A serving of their Shiok Maki cost $16.80++ for eight pieces of Maki. I was not exactly a fan of Maki but these made me one. 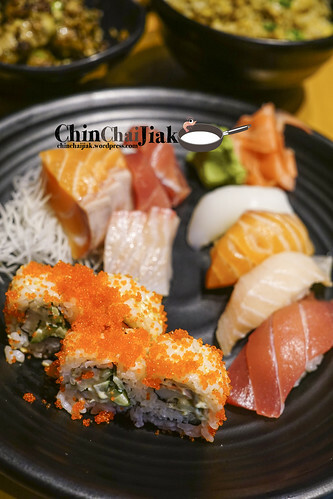 The exterior of the Maki is wrapped with thin layer of soft salmon sashimi, followed by a roll of Japanese rice, seaweed, and then with the charcoal grilled unagi as it’s center. 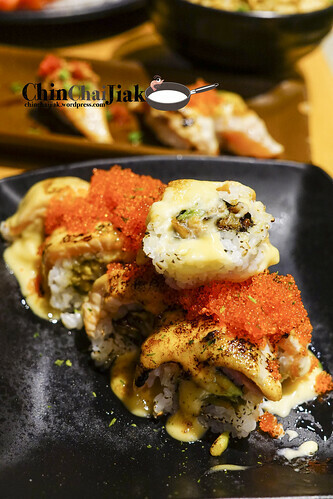 These Maki are then drizzled by the star of the show, a layer of thick special blend of mayonaise, which part of it are torched to give an enticing appearance and a smoky fragrance. The dish is finally completed with a generous sprinkle of roe. 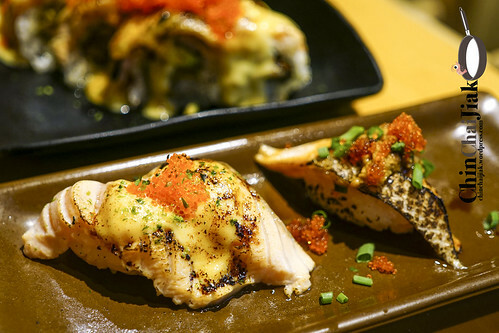 Gobble it up in a mouthful to understand why it is call the Shiok Maki. However I feel that it’s a little wasteful to eat everything in a go because i won’t be able to appreciate the taste of the individual ingredient. For instance, the charcoal grilled unagi is actually very good by itself. There is almost zero fishy taste in it and is skillfully grilled with a good smoky flavour. This Shiok Maki is a little pricey, at almost $2.50 per piece but I would say it’s worth it. However, if you are not a mayonaise fan, this Maki probably won’t work as well for you. This Bento Set cost $16.90++ and it comes with three kinds of sashimi and four kinds of sushi, california roll and a bowl of mini udon. i feel that it’s quite value for money, and that’s much about it. The udon taste quite average and the sashimi isn’t much exciting either. Those that like fatty fish may find these a little disappointing. How can I visit Koh Grill without ordering any grilled item right? So I decided to order this “thumbsup” item – stir fried asparagus wrapped in grilled pork belly and it’s actually pretty lovely. 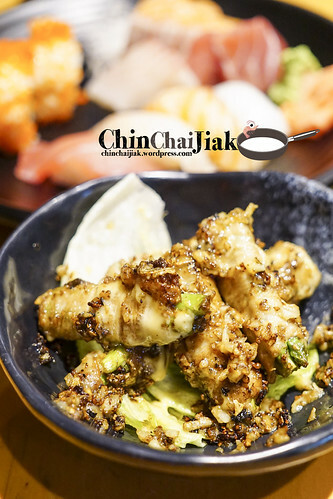 Imagine crunchy asparagus wrapped in thinly sliced grilled pork belly, sizzled in a garlicky pepper mix. Koh Grill & Sushi Bar also brushed a layer of their infamous mayonaise on each pieces of pork belly to complete the final touch. 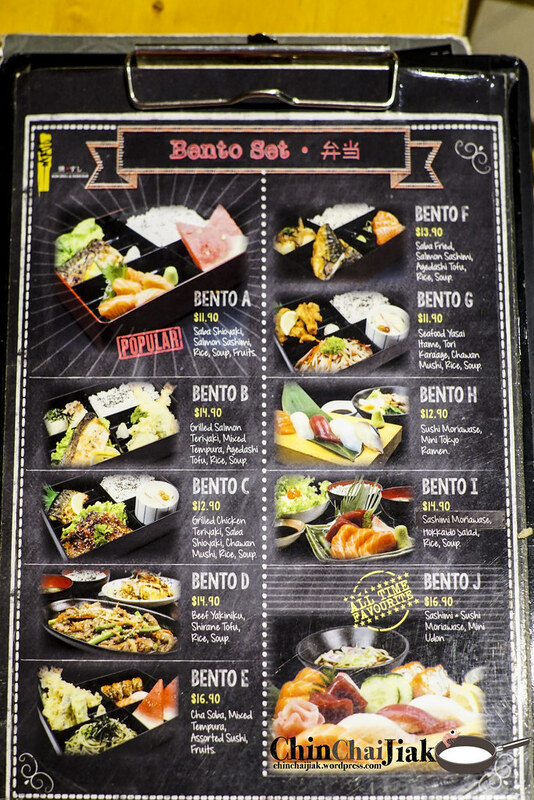 Apart from the Shiok Maki, this is probably something I will order again for my next visit. This fried rice smells very good when it’s served and upon a closer look, some of the rice grains were burnt. It’s actually not a big problem but the problem lies in the whole dish is not salty enough. Thumbs up for the fragrance but not for the flavour. 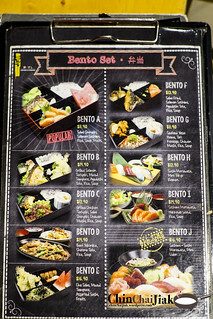 Apart from the Shiok Maki, except for the Asparagus Buta Special, the rest that i had are not as impressive. 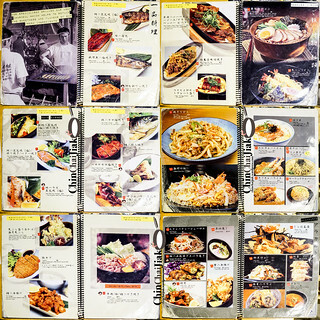 Their menu is really extensive so do let me know if you have any recommendations for their main course. 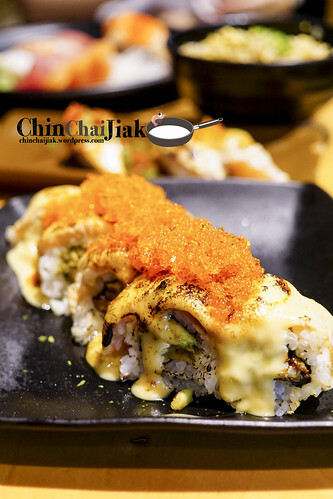 I visited Koh Grill & Sushi Bar with some expectation for it’s Shiok Maki and they actually managed to meet my expectation. 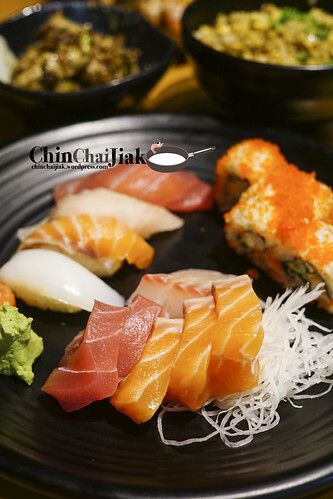 Shiok Maki is like the junk food of Makis, which is not as healthy, but provides a good level of satisfaction, or like what it promised – Shiok. If the length of the queue remains short, I really don’t mind coming back to have their Shiok Maki again. 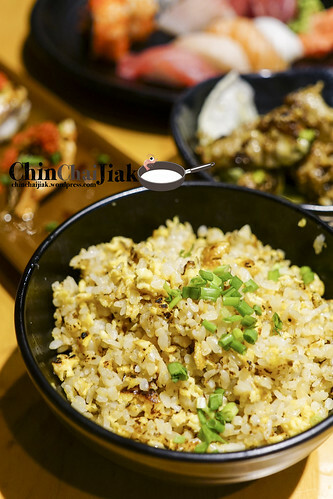 This entry was posted in Uncategorized and tagged Food Republic, garlic fried rice, grilled pork belly, orchard, Orchard Road, Saka Aburi, sashimi, shiok maki, wisma atria. Bookmark the permalink.